Extra bed chargeable if required at an additional charge of Rs. 500/- per child per night. Affiliate of Groupe du Louvre, which is owned by Starwood Capital Group private equity firm, Louvre Hotels Group currently has a portfolio of 7 brands, ranging from 1 to 5 stars. After forging a strategic alliance with Golden Tulip Hospitality Group, Louvre Hotels Group has become the 2nd largest in Europe and 8th largest hotel chain in the world, with 1072 hotels offering 83,000 rooms in more than 40 countries. Each establishment combines the chain's commitment to high international standards with an offering of the local flavors. The result is a stay as inspiring as it is pleasurable. 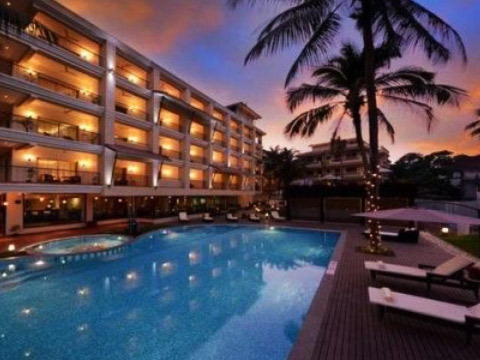 "Golden Tulip" located in "North Goa" at "Candolim Beach" is a "4 star Deluxe" property with 47 deluxe rooms. Guests at our hotel can enjoy stylish and comfortable rooms with all the amenities needed for an enjoyable stay. 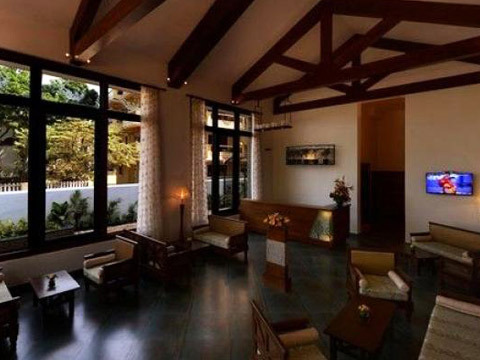 Golden Tulip Goa offers value for money prices & it’s ideal for both leisure travellers and business traveller. 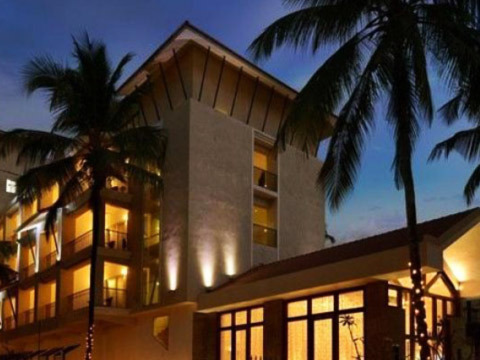 Situated in a quiet, peaceful location and vibrant city - Golden Tulip Goa, a contemporary upscale full service hotel located off the main road to Fort Aguada in Candolim. 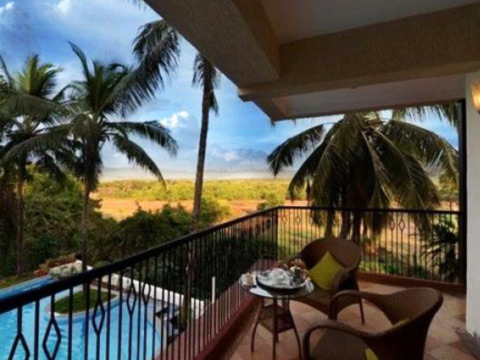 The hotel is just a ten minutes walk from the beaches of North Goa and 55 minutes drive from the international airport. This hotel offers 47 rooms, meeting room, a multi-cuisine Restaurant – "Aqauatico", an outdoor swimming pool, Gym, Spa, on-site banquet and conference facilities. The rooms have been tastefully done in a contemporary style decor, equipped with all modern amenities. 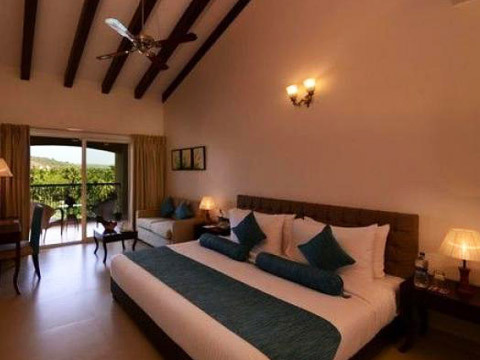 All rooms offer a private balcony and there are rooms with the pool and landscape view. Located in the Western Ghats with the Arabian Sea, Goa is a state blessed with abundance in natural beauty and life. It is a perfect locale to witness the scenic charm as it offers diverse views. Situated in a quiet, peaceful location in this colorful and vibrant city is Golden Tulip Goa, a contemporary upscale full service hotel. 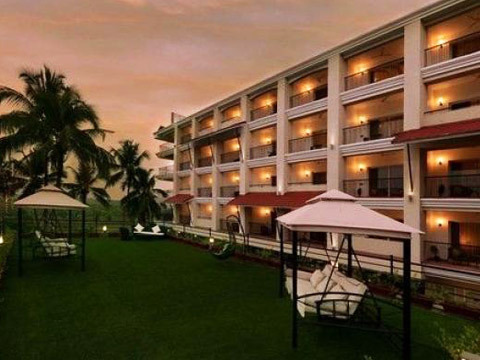 The hotel is just a ten minutes walk from the beaches of North Goa and 55 minutes drive from the international airport.